In the winter of 2004, I returned to the works of Truman Capote, reading through his entire corpus for the first time in 25 years. I don’t believe there is a finer stylist in the history of American letters, and yet the legacy left in the minds of most Americans is that of a preening, flamboyant gay man high on drugs and liquor and the social-climbing obsession of the rich and famous. Capote was openly and extravagantly gay, a caricature of himself driven to a fame and notoriety that was forever threatening his work as a writer. But that’s the way it was; to say how much more he could have accomplished had he been, well, less notorious, is to lament the inefficiency of Van Gogh’s insanity. On the opposite spectrum would be the temperament of his life-long friend Nelle Harper Lee. As next door neighbors in Monroeville, AL, they developed, as children between 1924 and 1932, a bond that easily transcends any literary friendships before or after. Their activities, the activities of children filling long idle afternoons, were indicative of Capote’s later life: The grand circus that would return many decades later as his famous Black and White Ball in 1967, interrupted that evening in Monroeville with a visit from the KKK (Capote, ignoring protocol, had invited a black boy to the festivities–a very Bo Radley-like figure, by the way) and a scene with Harper Lee’s father, as the town’s local, respected prosecutor, quelling the disturbance in a way that was brought to life in the much later To Kill A Mockingbird. Or their favorite pastime of sneaking into her father’s study where Lee would take her place at the typewriter with little Truman pacing the floor dictating the wildly imaginative stories that are lost forever. There is this Truman, an only child, abandoned early on by his skirt-chasing small-time entrepreneur father, then his beauty queen, social-climbing mother, and deposited with this trio of eccentric Aunts and this result of forever looking to please, going to extremes to win over the attention then loyalty with stunts like his perfect gymnastic cartwheels in Lee’s front yard that were no different, 30 years later, from the cartwheels he was performing in a drunken and drugged state down in the VIP room of Studio 54, turning cartwheels to steal attention from the gang-banging debacle of the 70’s. He never outgrew this craving for acceptance, this uncanny desperation to trade extravagant favors in return for loyalty. And this Nelle, Nelle Harper Lee still in Monroeville in the house where she grew up, playing golf everyday and scratching this itch of an interest in criminal proceedings to find her commonly at the Monroeville courthouse, sitting in on whatever proceedings fell under the local jurisdiction. Nelle performed as a steadying ballast to Capote’s eccentricities. “I’m about as tall as a shotgun, and just as noisy,” he once described himself, reveling in the amount of noise and attention he could create for such a diminutive figure. “A pocket Merlin,” as Lee described him, treating him more as a toy, an amusement to be pulled from her pocket when she was bored. It was this very ballast that allowed the friendship to last as it did. They never lost touch. Years passed and Truman found the fame he craved, storming the NY literary scene in a way that had, of all people, Andy Warhol camping in front of Capote’s apartment every day for months, hoping for some acknowledgement by this master of self-promotion. In Capote’s letters of this period (and he was one of the most voluminous letter-writers in literary history), he frequently makes mention to others of some news or another regarding Nelle back home. He wrote everyone — wonderful, engaging, insightful, yet quickly-penned letters to the Who’s Who of the era, filled with spiteful gossip and flowery back-stabbing and, commonly, references to the goings-ons back in Monroeville, back with Nelle. And yet, oddly, not a single letter between Capote and Harper Lee has survived. Nothing uncovered in anyone’s attic that might afford us a glimpse of a life-long correspondence between life-long friends and childhood next-door neighbors who just happen to represent the apex of Ernest Hemingway, or that early draft of Huck Finn. Likely, it was destroyed, by mutual agreement. Less likely, it exists in Harper Lee’s attic, the most reliable and incriminating evidence of something that has intrigued me for years. Like his cartwheels and his craving for the love of others, Capote was always offering himself to others, his services and his talents. Sometimes large prodigious favors, asking nothing in return. It was, again, a deep-seated need to win the loyalty and praise and support, and of course. attention, lost to him as an abandoned only-child. He is on record of repeatedly urging Lee to write. But Lee was a golfer and a court-room aficionado. Not a writer. There is mention in a letter dated in early 1955 to his long-time male companion Jack Dunphy, the mention of this phrase regarding a childhood pastime: “. . .the killing of mockingbirds.” Five years before the book’s publication! There is the uncanny wizardry of Capote’s ability to mold his writing style — a chameleon-like quality to dazzle his literary peers and best shown in his knack for redefining his art from the early innocent stories to an about face with In Cold Blood to yet another dramatic turn-a-round with the much-anticipated excerpts from the gossip-oriented dialogues of Answered Prayers. Three very distinct styles in a profession where it is almost unheard of for an artist to change their style. This is almost never seen in literature — perhaps Dickens with his departure to The Pickwick Papers, and Twain with the invented dialect of Huck Finn. But each of them again returned to their natural narrative voice. I cannot think of a single major novelist whose early work is unrecognizable from later works. In other forms, yes — most notably Picasso, the Beatles, Frank Lloyd Wright. But not in literature. Capote was a prodigy with words and style and even story. He could adopt a voice and narrative style the way a character actor adopts a role on stage. In 1959 Lee accompanied Capote for a two-month stay in Holcomb, KS. to investigate a brutal murder that had caught his fancy and perhaps an opportunity to put to test a new form of fictional journalism he had dallied with in a few earlier articles (The Muses Are Heard, originally published by his dear friend and editor at Harper’s Bazaar). A large favor to ask of anyone. But he knew the folks in Kansas would not warm to a tiny freaky flamboyant gay man with an oversized head and a manner so affected it drew attention to itself like bees to honey. Lee, with her normal, low-key gregarious personality, would win them over and open their trust to the exhaustive interviews Capote’s project would require. Later, she accompanied him again on one of several follow-up visits to Kansas. The first visit was less than a year before the publication of Mockingbird (presented, by the way, to only a single publisher — Lippencott — an unknown writer selling her first book on its first submission). Can we assume Lee’s trip to Kansas was in some way returning the loyalty and favors of Truman’s efforts with Mockingbird? He, of course, appears in Mockingbird, as Dill, and, conversely, she is repeatedly fictionalized in his early stories. In the years immediately following the hullabaloo of Mockingbird, and its Pulitzer, Lee must have been pressed from every corner to publish. To publish anything. There would have been innumerable requests from all the leading magazines for something written by her. And yet she published only two essays in these first two years following Mockingbird, both in 1961. One, an essay with Vogue titled ‘Love — In Other Words’. And ‘Christmas To Me,’ for McCalls. Read them. Do they read like the writer who wrote one of the most enduring classic of modern times? Hardly. They read like a layman who had spent very little time honing a literary style. They are embarrassing, in this respect. In a small Alabama history gathering in 1983, she read from something called: Romance and High Adventure, furthering the lackluster post Mockingbird legacy, and securing her preference for factual over fictional. None of these post-Mockingbird writings exhibit anything close to the sort of behavorial insight shining throughout Mockingbird. We have to assume the general reaction to all those eagerly waiting for something more, anything, from the author of Mockingbird, was similarly unimpressed. She consequently never published again. Not another blurb over the subsequent 46 years. n 1995, Harper Collins — having acquired Lippencott — published a 35th anniversary edition of Mockingbird with great fanfare, promising a new foreword by Lee. The ‘new foreword’ was in fact a short, very short, excerpt from a letter to her agent declining Harper Collin’s request. I myself wrote her on several occasions in the 1980’s, receiving, in every instance, a note from her agent Jane Fallowfield. It is the rare piece of mail that gets through to arrive in Monroeville. So who cares who wrote what? Isn’t it the work that stands, and not the author who penned the work? Capote himself apparently didn’t care. But one can’t help wonder what it requires, personally, to carry such a secret for so many decades, to avoid interviews and further writings published, and the urge or inherent need of a novelist to write more novels. Really, how many instant best-selling first-novels exist, alone in a writer’s corpus? How many instant best-seller, Pulitzer-winning first novels exist in this light? How many instant best-seller Pulitzer-winning first novels with follow-up credits of an Oscar-winning film classic, and nothing more from the author. The little library in Monroeville has a museum devoted to an extensive inventory of works and memorabilia donated by Truman himself. While Lee, on the other hand, has steadfastly turned down not only the library’s requests, but a town proposal for an annual Harper Lee Day. And yet to this day she continues to reside in Monroeville, a very ordinary one-story brick house with a chain-link fence and a carport, playing golf, maintaining her reclusiveness. Unlike a Salinger or Pynchon-like withdrawal — the classic trait of an eccentric recluse — her house is exposed, her tee-times available, her presence known. You do yourself a disservice( if there is such a word).. You yourself are a brilliant writer, The similarity between you and Capote as writers is uncanny. Fact or fiction you do them so well, the reader actually feels as though they are living them..Maybe ths similarity in wrting stems from similar happenings in childhood, certainly not sexual, but being orphaned and growing to love words and being so inquisitive. However way you look at it, whatever you write Roger to me is fascinating reading.. keep on keeping on, I hope i see a movie of your ooks one day.. A Quiet belief in Angels would be fabulous..
As always, Wyn, you are so immensely kind, and I thank you sincerely for your endless support and encouragement. It really means a great deal to me. Yes, hopefully one day there will be some films of the books. That would be wonderful! i had a friend who was a personal friend of capote in his later years. she described his relationship with harper as emotionally abusive. Harper never told him of her novel and published it when he was away. He put her down and shot her confidence. capote was quire weird and could have never gotten the interviews for cold blood. He sent harper to do the investigative work. He laughed to my friend about how Harper did whatever he commanded. This is most fascinating. I don’t doubt that Capote could be a domineering and intimidating personality. I think he was racked with self-doubt and insecurity, and perhaps solved it by always trying to be ‘the smartest person in the room’. Small man syndrome, and all that. I also appreciate that ICB would never have been written without her. It is good to know that she is now releasing a new book in July and will get some of the attention she deserves for her writing. Just an odd observation….one small Bama town….which has two of the ten premier writers of the entire century, and no one ever sits down to write some screenplay or book over this odd relationship between the two. This is not the case where one is twenty years older than the other. Yet no one seems to want to touch this whole episode, which I find strange. Personally, I think Harper wrote book version one, and found it wasn’t going to work with the publishers. She didn’t know how to clean this up and Truman reviewed it, and knew how to twist a negative story into a positive story….rewriting the bulk of the book into something different. Harper was probably happy for the first six months while copies sold and then realized the massive problem five years later…..in that she couldn’t write at the level of Truman and just quietly admitted that was the one and only book. I would not call it a rift. It’s like in a game of friendly basketball where you realize your opponent can do just about anything on the court, and on your best day….you are half that good. I think Lee woke up sometime after the publishing of the first book and grasped just how good Truman was. Not to say that Harper doesn’t have talents…..I think she could easily have gone to a place….asked stupid questions and gotten folks to just talk (it’s an Alabama trait that people get a topic going and folks just chat easily to strangers). Truman’s first real book probably could have never been accomplished without Harper in the background. I think he was the type of guy to admit that. 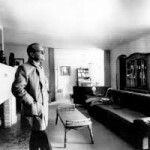 In retrospect……Capote is a short-story writer and screenplay guy. That was his bread and butter. Breakfast at Tiffany’s wasn’t a true book….it was probably more of a screenplay turned into a novella. There are tons of short stories, but you just find any massive novel sitting there except when Harper Lee is hooked to him. As for this current new book? I think it is 100-percent total Harper Lee, and nothing else….it was effort version 1.0. Now, this suggestion that I’ve seen of a 3rd book being out there? Oh, I think that’s a bogus deal and ghost-written by someone. It’ll be a 1950s theme…..set in Alabama and have some element of racism built into the story…..IF it does appear and get published. My suggestion for some enterprising writer…..write a 400-page book on a mythical nutty but clever Alabama teenage girl and some nutty new guy in the school who is very creative and clever, and pose a friendship situation….never a romance….just barely hinting it might be Harper, and it might be Truman. People are stupid enough to buy off on this idea and you’d sell 50,000 books easily. That’s a very interesting idea! I think you’re right, and I think that would sell 50,000 books. However, I shall not venture there. I have a trilogy ahead of me, and that will keep me more than adequately occupied for a few months! Very nice article Mr. Ellory. I must confess that I have had similar thoughts re: who wrote what. Not too long ago, I read Marja Mills’s novel “The Mockingbird Next Door.” Apparently Miss Lee offered Ms. Mills the following reason as to why she never wrote another novel: once you win the Pulitzer prize what else is there. Yet I find it difficult to believe a writer could suppress his/her desire to pen something/anything, i.e. short story, review, etc. With Harper Lee’s popularity as writer, heck, one might even anticipate a grocery list as being a good read. But what really nails it for me as to whether Capote and/or Lee wrote TKAM, is this: Ms. Mills notes when Miss Lee was asked to speak at certain events, she usually refrained and/or would accept an award with a “thank you” only. As you know, most writers speak in the same manner in which they write (e.g. Hemingway and Faulkner’s speech after winning the Pulitzer Prize). Was Miss Lee afraid the spoken word might betray her? Ms. Mill’s reveals that there was indeed a certain degree of animosity existing between Capote and Lee, which included Lee’s sister Alice, who suggested that Capote wasn’t just a spoiled child, but an indulged one. According to Ms. Mills’s novel, both Lee and Alice implied that the trouble between Lee and Capote was Capote’s jealousy over Lee having won a Pulitzer prize for TKAM, that he anticapted he might win one also for ICB (and he definitely should have!). Is all the above purely speculative on Marja Mills’s part and/or worse, a downright fabrication? Not sure, but I do believe something traumatic occurred between Lee and Capote after they published their brilliant novels for neither of them wrote another. Or else it was the tedium of trying to maintain a friendship that had long since worn out it’s welcome, water not under, but over the bridge so to speak. What actually occurred, we will never know, but I suspect that over the course of their friendship, from childhood to adulthood, there were probably many more kept secrets than this, perhaps deeper and darker than one can imagine. I concur with this completely. I think, in essence, they co-wrote both books, decided to publish TKAM in her name, ICB in his, and she went ahead and won a Pulitzer, the film was made, Peck won an Oscar, and even though ICB was huge I don’t think he could overcome his envy. I think both of them feared that disclosure of the truth would serve to relegate both books to a lower status…or perhaps TC insisted that nothing be said for fear of attack or criticism, and she went along with it. There was a lot of press attention when an anniversarial edition of TKAM was going to be released a few years ago. A new foreword would appear. Lee was going to write something about TKAM that we’d never read before. When the edition finally arrived, the ‘foreword’ was a letter from HL to her publishers saying that she would not be writing a new foreword. Most bizarre. Anyway, only he and she know the truth, I guess. He’s dead, and she won’t be saying anything about it, I’m sure.